The tiny hilltop village of Monte Petriolo is the backdrop of the 4th generation Tiberi family's vineyard and homestead cantina. 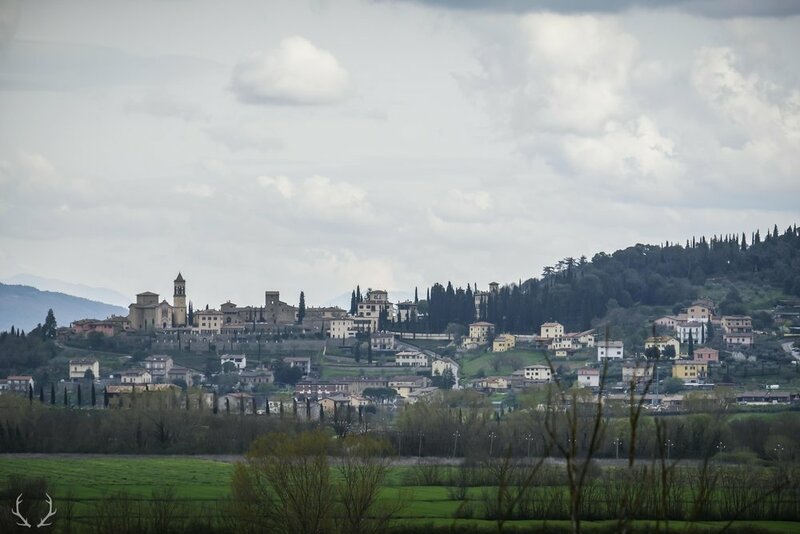 Nestled in the rolling hills of northern Umbria, at roughly 350 meters above sea level, on the south-west facing side of Lago di Trasimeno, this historic family of farmers and local winemakers are quickly becoming one of the stars of the new guard in Italian Natural Wine. Cesare, Federico and Beatrice Tiberi's grandfather and padrone of the family, has lived and worked his entire life in his village. Cesare has been doing harvest here since he was a young boy and still remembers helping plant some of the tiny vineyard plots with his father. 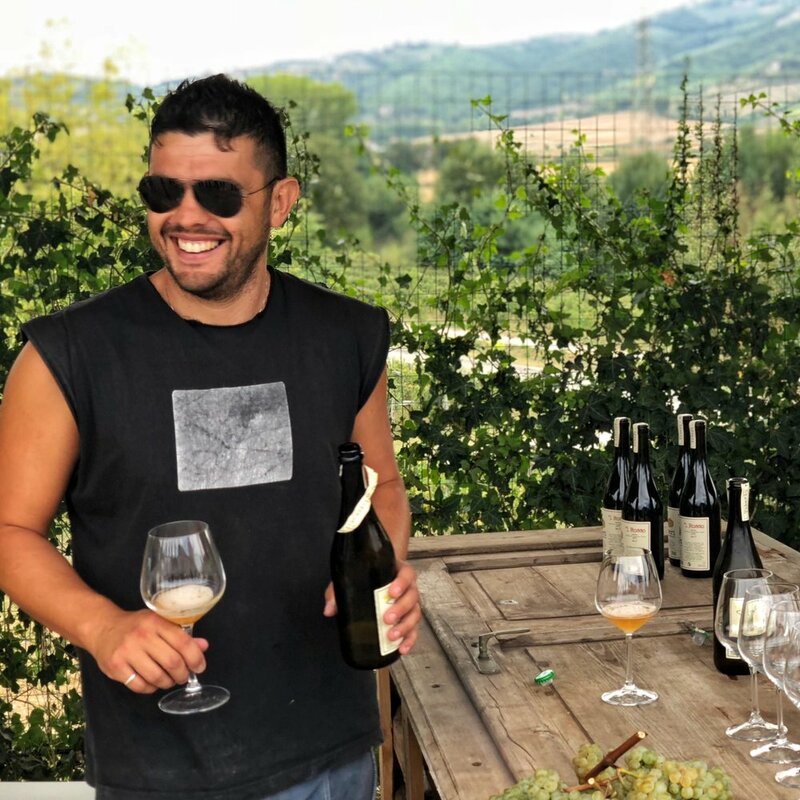 Cesare is a sage and a family treasure, a link to the past that is helping the youngest generation, brother and sister team Federico and Bea bring the family winery into the modern era. The Tiberi's have roughly 3.5 hectares of vineyards planted on several small plots surrounding the family's homestead and cantina. 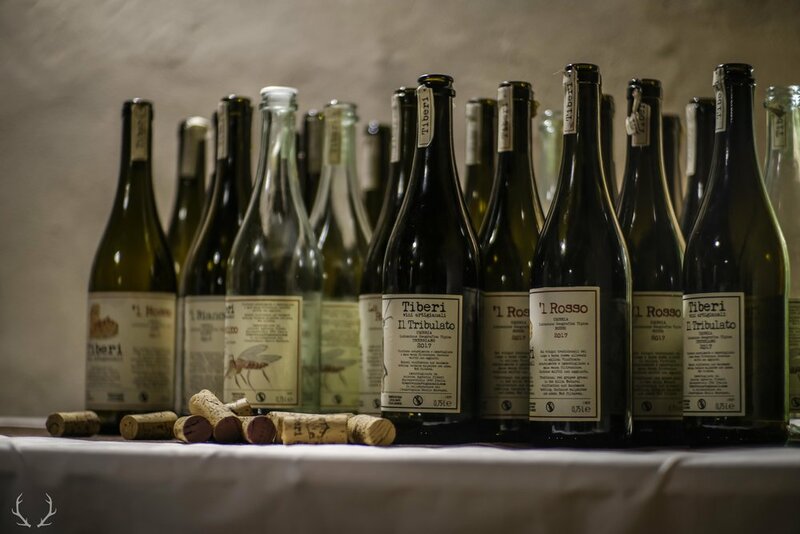 A combination of native red and white Umbrian grape varieties including Gamay del Trasimeno/Grenache (considered 'native' to this part of Umbria), Canaiolo, Ciliegiolo, Grechetto, Trebbiano and San Colombana are planed on rocky schist, marne and galestro soils makes the Tiberi's wines distinctive and special. The south-western exposure, rocky soil and dry Mediterranean winds leave these wines with a hearty, spicy and rustic backbone. Though the Tiberi family has been making wine for generations, it was only in 2015 that Federico and Beatrice took the first major steps to bring the family's wines into the modern era. Together with guidance from grandfather Cesare and family friend and neighbor, Danilo Marcucci, 2015 was a breakthrough vintage. 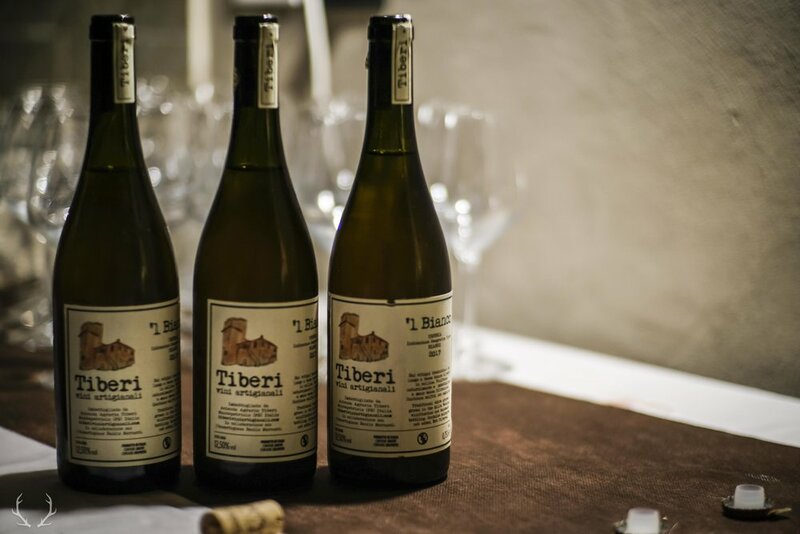 This was the first time that the Tiberi's wines were vinified without additives whatsoever as well as bottled and sold beyond the cellar door to village locals. 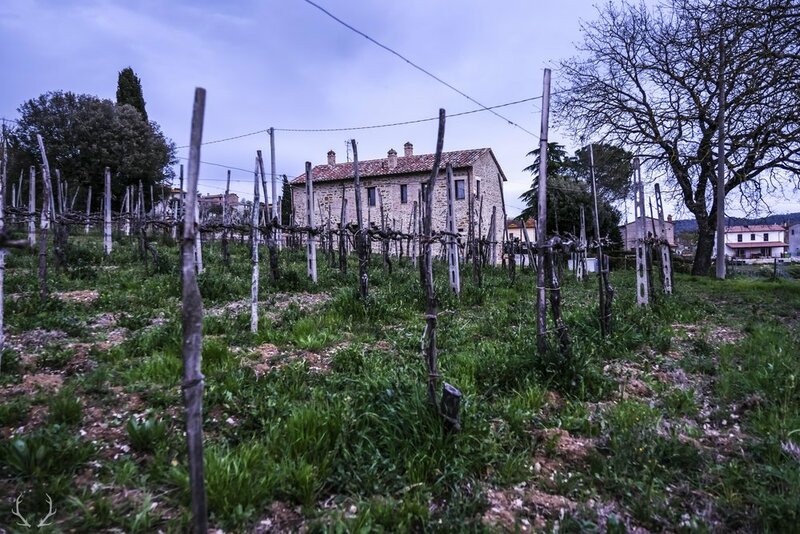 This was the first step in progressing the family farm into a modern pioneer of Umbrian natural wine and a way forward to create a sustainable working farm with a reach beyond the local village. I met the Tiberi's in early 2014 while they were preparing the vineyards for their exciting new beginning. The torch has been passed and is now in the hands of the passionate and dedicated new generation. These wines are a hallmark of the unrealized potential of Umbrian wine and they improve with each vintage. We're honored to have them as a part of the SelectioNaturel family of producers and know you'll enjoy their honest and delicious wines. Blend of Grechetto, Trebbiano and Malvasia. De-stemmed, 2 days skin contact. Basket pressed. Natural ferment in open top vats w/o temperature control, yeast or sulfur. Aged in combination of stainless steel and resin tanks. Blend of Gamay del Trasimeno (Grenache), Ciliegiolo and Canaiolo. De-stemmed. 4-6 days skin maceration. Natural ferment in open top vats w/o temperature control, yeast or sulfur. Aged in combination of stainless steel and resin tanks. Old vine selection. Blend of Grechetto, Trebbiano, Malvasia and San Colombana. De-stemmed, 2 days skin contact. Basket pressed. Natural ferment in open top vats w/o temperature control, yeast or sulfur. Aged in combination of stainless steel and resin tanks. Old vine selection. Blend of Gamay del Trasimeno (Grenache), Ciliegiolo and Canaiolo. De-stemmed. 4-6 days skin maceration. Natural ferment in open top vats w/o temperature control, yeast or sulfur. Aged in combination of stainless steel and resin tanks.